Thank you, Rachel for your article. It reminds of an editorial that Doug Walker made on the same topic. There are, I will admit, many film critics who I believe get into the field just because they think it is an easy enough job, or because they have a passing interest in film that may quickly fade, not because they genuinely love filmmaking. However, I agree with most of your thoughts and disagree with people like Samuel L. Jackson and Dwayne Johnson who are eager to blame critics for the failure of movies or for simply disliking films. 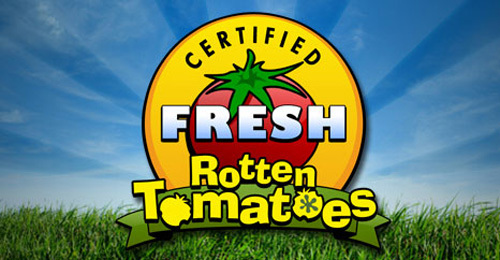 I still dislike how Rotten Tomatoes forces people into the herd mentality, but should be used as a resource in the way you suggested if it is to be used at all. This was very interesting to read. I wasn’t thinking of any specific critic, but I have heard of critics who basically admitted this, either about themselves, or that there were other critics who they felt were like that. In Siskel and Ebert’s heyday, though, they were for many people the only critics worth listening to, admittedly, but even then there were others and it was easy to tell when they didn’t agree with the mainstream. They were https://0.gravatar.com/avatar/637716bee29731610d2218e956ae0904?s=256&d=https%3A%2F%2Fsecure.gravatar.com%2Favatar%2Fad516503a11cd5ca435acc9bb6523536%3Fs%3D256&r=Gin fact the only two critics in the country who liked Speed 2: Cruise Control, in fact. The only reason I even said that was to try to give a full portrait. I didn’t want to just sound like I was praising film critics and love Roger Ebert but I wanted to be open-minded. Very interesting post and discussion about a contentious topic. The role of the film critic has changed significantly in the digital age and has become democratised and diversified. When discussing the critic’s work, you need to distinguish between the descriptive/informative review that is intended to be read BEFORE viewing; and the analytical/thematic review that is intended to be read AFTER viewing. The former influences spending choices, the latter engages in a conversation about a film’s meaning. The blunt reality is that, like in the field of literature, most viewers/readers lack interpretative literacy and put down a book or leave a cinema unable with a limited decoding of the text. Reviews are the most popular and effective way of engaging with the various meanings of a book or film. They are, of course, subjective and are dependent on demographics. There has always been cultural critics among us and there always will be. Sorry for rattling on.